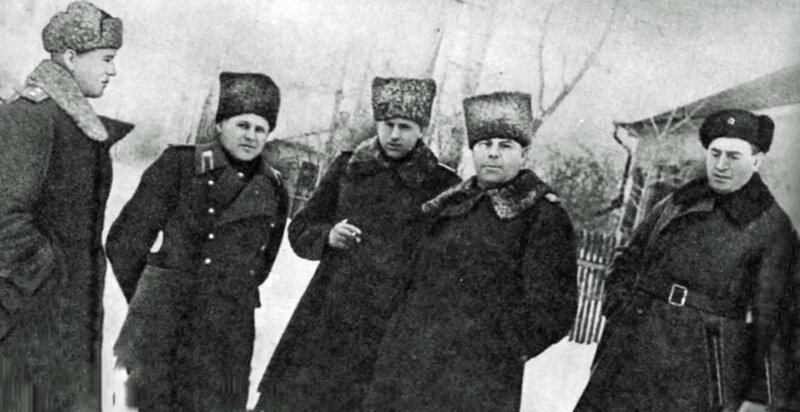 Representatives of the Soviet Supreme Headquarters in the village of Svoboda, Kursk region. From left to right: I.T. Peresypkin, K.F. Telegin, K.K. Rokossovsky, A.M. Vasilevsky and A.I. Antonov.